Malta, with its 316 square-kilometers may be one of the smallest countries in Europe, still, it is packed with a number of uniquely beautiful towns, villages, and cities. 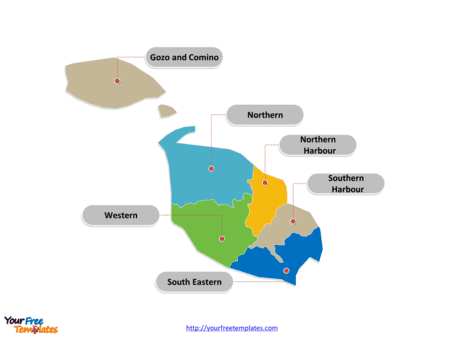 For easier coordination, we show you the main areas of the island, with a brief description of each of them. By the end of this article, you will have a solid insight about which kind of places, services, prices, properties, and surroundings you can expect when planning to move to a certain area in Malta. 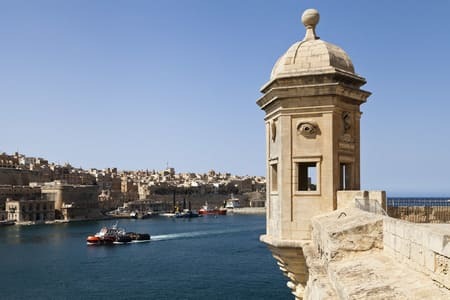 The southern harbour district includes Valletta and several smaller cities that are surrounding the capital. Birgu, Floriana, Fgura, Paola, and Luqa belong to this area, just to mention a few. In the past decades, Malta has shown a remarkable development in most parts of the country, especially in the capital, that has been rewarded as the Cultural Capital of Europe in 2018. As a result of the quick progression, Valletta offers hundreds of restaurants and bars, modern services, with major international brands available in a large number of shops along the city. However, the capital remained beautifully charming with its authentical streets, old-fashioned buildings, baroque palazzos. As it’s growing to be more and more popular destination for both locals and foreigners, you can find a wide variety of traditional buildings converted into highly finished luxury townhouses, and houses of character. New buildings like apartments and penthouses are more likely to be located in the outer zones of the district. The surrounding cities have not been left behind during the years of modernization, meaning that modern properties are easy to find in Fgura, Paola and the other villages as well. The capital may not seem the cheapest option, but in the other harbour cities, the prices are still quite reasonable and affordable, giving a home to many young couples and first-time buyers. The Northern Harbour District stands for cities like Birkirkara, Gzira, Pietá, San Giljan, and Sliema. This is the smallest district by size, but strangely it has the biggest population of all. 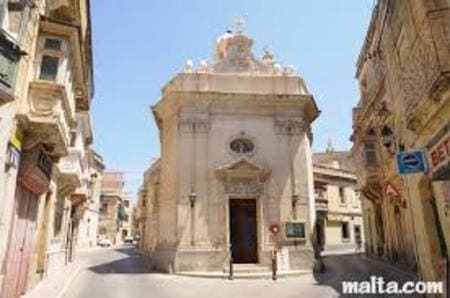 Big cities like Birkirkara holds 24,000 inhabitants, and Sliema with its own 16,000 people makes it clearly the most cosmopolitan part of the country. One of the most popular destinations for foreigners and international companies, offering a huge number of office buildings, especially in San Giljan, Sliema, and Gzira. Still, many expats are deciding to rent or buy in this area, simply because of the huge variety of both authentic or recently converted properties. Thousands of newly developed apartments and penthouses are offering a magnificent panoramic sea view with Valletta on the other side of the bay. You might find higher prices here, than anywhere else in the country, but one has to note, that living in these areas equals to living in the center of the action. Valletta might be the capital, but it’s not likely that it has the buzzing urban lifestyle as the northern harbour cities. You will find all kinds of amenities and services in this district with the best bars, clubs, and restaurants, also giving place to Paceville, as the heart of the Maltese nightlife all year long. The South Eastern District gives a home to many fishing villages and the traditional island life with quiet winters and busy summers. The southern cities like Marsaskala, Marsaxlokk, Birzebbuga are the popular seaside destinations for those that want to stay away from the noise of the big cities. A great amount of Malta's most spectacular historical sites are located in this less-visited southeastern area. It's also giving place to many industrial establishments, which results in a relatively decreased density of tourism, though, many come to the south to eat in one of the traditional local restaurants. 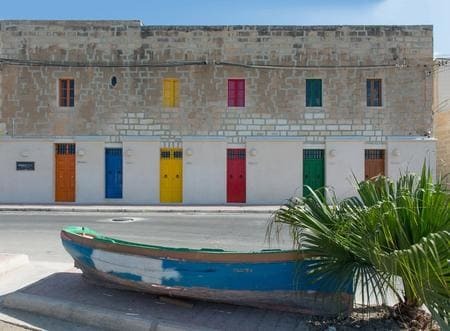 Check out the article - Marsaxlokk: A taste of Malta’s Traditional Culture. You can read more about the Secret Serenity of the South-eastern Villages here. Some of the loveliest residences will be found here overlooking the sea or the peaceful countryside. With a wide spectrum of properties such as apartments or penthouses, also new built and renovated villas. Houses of character and townhouses spread all around the promenade. Whether someone wants to take a typical holiday-style rental option or fully furnished, cozy family home - the south has plenty of those to be proud of. The area is still under development which could be a sign that it may be the best time for real estate investments. 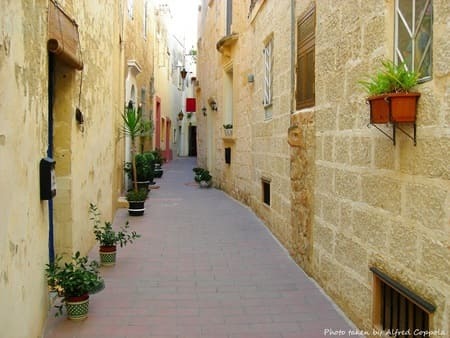 The Western District gives place to villages and cities like Attard, Rabat, Lija, Dingli, Zebbug and the stunning silent city, (also shooting scene of The Game of Thrones,) Mdina. One will find truly breathtaking spots here, just like Dingli, the highest point on the Maltese Islands, where you'll enjoy excellent views along the coast framed with cliffs, and the lovely island of Filfla. Inland cities like Attard are some of the most beloved areas on the island. Mainly populated by local residents, although some expatriates fall in love with the tranquility and relocate for a lifetime. The whole area is endowed with a silent and calm atmosphere and serene surroundings. As a result of respecting the old traditions, sometimes even newer buildings are obtaining many of the traditional architectural features. Townhouses and houses of character are in incredibly in demand. As soon as a home in this category becomes available - whether it is unconverted, converted or finished to the highest standards, it gets snatched up almost immediately. 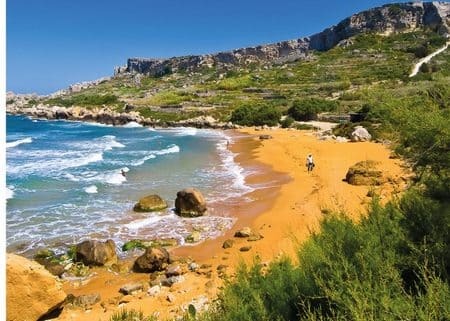 The Northern District unquestionably has the biggest collection of spectacular beaches in Malta. Containing cities like Mellieha, Xemxija, Mosta and the Saint Paul’s Bay area. It’s highly populated with foreigners and took a huge step in development compared to the south or the central areas. However, this region still retains its traditional seaside characteristics and fishing links, mixed up with modern entertainment and busy summer nights. Further up in Mellieha, with the longest beach of the country, there is a thriving property market due to it’s magnificent views to the bay. Astonishing villas have been built and renovated with the highest features of a pure luxury inside, and the gorgeous view outside, which is hard to compare to anything around. Lovely evening walks and a large number of bars and restaurants will make sure, that in this district you will enjoy the summer holiday atmosphere all year round. As a result of extreme demand for apartments and penthouses, the area is showing a fast progress in the real estate aspects, yet, the prices are still quite affordable for their value. They might be smaller sister islands, but they can still offer splendid views and historical riches to all that wishes to explore the hidden gems of Gozo and Comino. Having a territory not bigger than 3.5 km², Comino is a tiny treasure box of hundreds of magical sights. With its crystal clear water, it is heaven indeed for divers, swimmers, and snorkelers all year long. Take a tour around the tremendous amount of massive caves that surround the tiny island! Cruiser ships are scheduled every day, and after a memorable day on the beach, they will take you back to the mainland in the evening. After visiting Comino, you should definitely see the second biggest island of the Maltese archipelago: Gozo. Packed with ancient and recent UNESCO World Heritage sites, baroque architecture and buzzing cultural life, Gozo is a typical destination of foreign retirees, wishing for a quiet and relaxing area. One would see the most enchanting farmhouses, houses of characters and townhouses with fantastic views to the unspoiled nature of Gozo. The remarkably slower pace of life will just let you slow your steps how you wander around the red-sanded Ramla Bay or taking a stroll uphill to visit Victoria, the capital of Gozo. The ferry offers hourly routes from Malta to Gozo, departing from Cirkewwa, the most northern city of the island of Malta. You can read more about Gozo here or if you are coming to visit on a short holiday, then we suggest you read the Ultimate List to Explore Gozo in One Day. The country offers suitable options for each ages and tastes. With its great history and even more natural beauties, it’s just impossible to get enough from Malta. 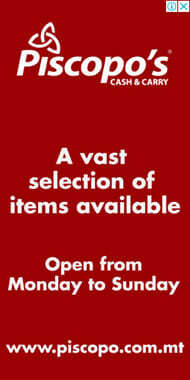 If you are just visiting for a couple of days - then this might help you.